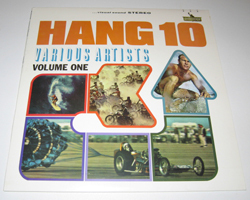 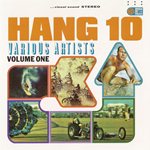 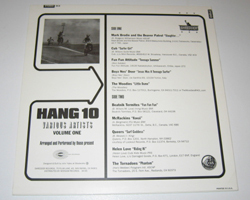 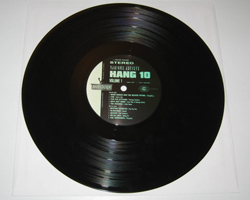 Hang 10 - Volume One 10": This release was a 10 track compilation 10" released in 1996. 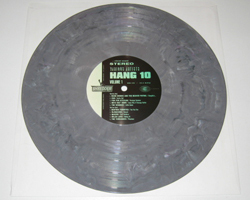 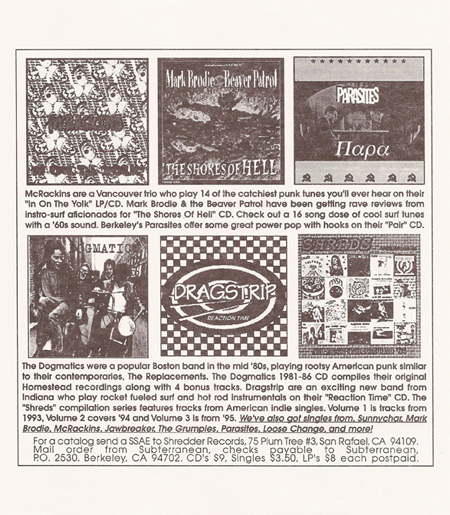 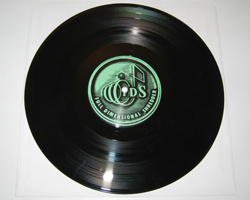 Mel Cheplowitz from Shredder Records recalls that 1,500 were pressed with 500 of the 1,500 pressed on grey swirl vinyl. 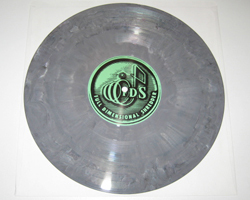 I have three copies of this 10" (test pressing, grey swirl vinyl, and black vinyl) so I know that at least those two colors are out there. An insert was included, and also shown is a track listing sheet included with my copy of the test pressing. 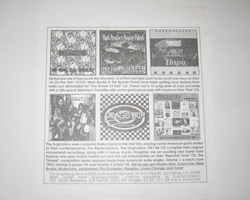 The compilation was later reissued on CD by American Pop Project in 1998 with five extra tracks. 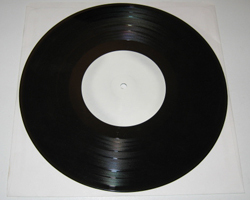 Again, Mel estimates that around 2,000 were made.